Keep track of the operation hours of your machinery with our GPS Track and Trace systems. 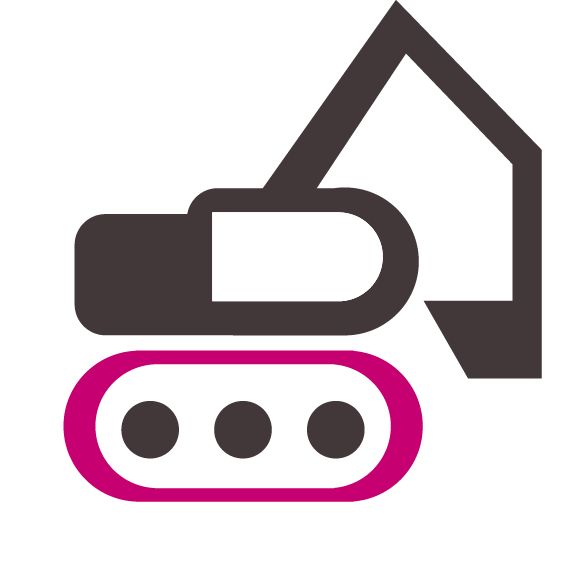 Handy for knowing how long your diggers, excavators and dozers that you’re rented out have been operational. Do you need to know many hours your rented out object’s have been operational? With the built in motion sensor, it is possible to have insight into how many hours your movement or transport your diggers and excavators have been operating via your online account. It is essential for rental companies to know just how many operational hours their rented objects have run. The function to be able to do this is available with the wireless as well as the wired GPS Trace and Trace system from 12Trace. Whenever the counter moves (which in turn means the machine to which it is placed on as well) so too does the built in hour counter. The built in accelerometers activate the hour counter as soon as motion is detected. As soon as the motion stops, the counter will continue for an additional 2 minutes. Intensity of movement has no influence on the counter, The counter cannot te turned back. The operational hours can be read remotely from your account. From your account are various alarm notifications which you can activate and chose from yourself to be sent to an email adres you provide. Example: After 100 hours regular maintenance or after 500 hours maintenance required.